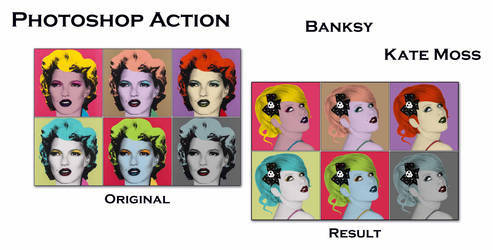 Pop Art is an effortless painting style (art style) comparing to others like impressionism, pointillism, cubism and even op art etc. 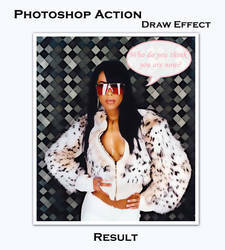 Indeed with a graphics editing program, like Photoshop, you can easily and in a short time realize a really good work. 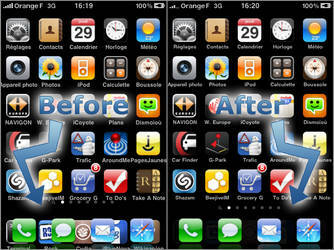 - use colors with an exaggerated contrast hue. 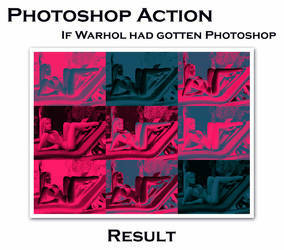 Rather than creating some tutorials to explain how to reproduce the artist works I chose to do some Photoshop Action for users to acquire the general techniques used by Warhol through Photoshop in order to reproduce or create some Pop Art portraits. Of course these actions are not absolute solutions. 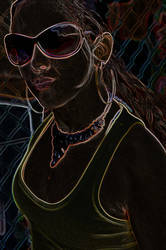 Nothing is worth than a realization made with time and adapted to the original picture, but I think it's a good solution to forward techniques of Pop Art portraits. 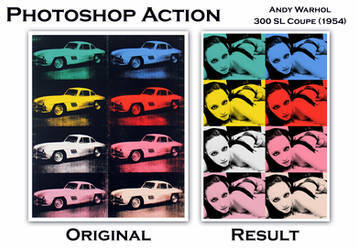 PS: Answer of the question "If Warhol had gotten Photoshop, Digital camera and DeviantART ?" He may had enjoyed it ! 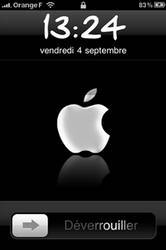 Tes actions sont mes préférées !